Set avocado to the side. In a small bowl, combine all other ingredients, allowing peas to thaw. 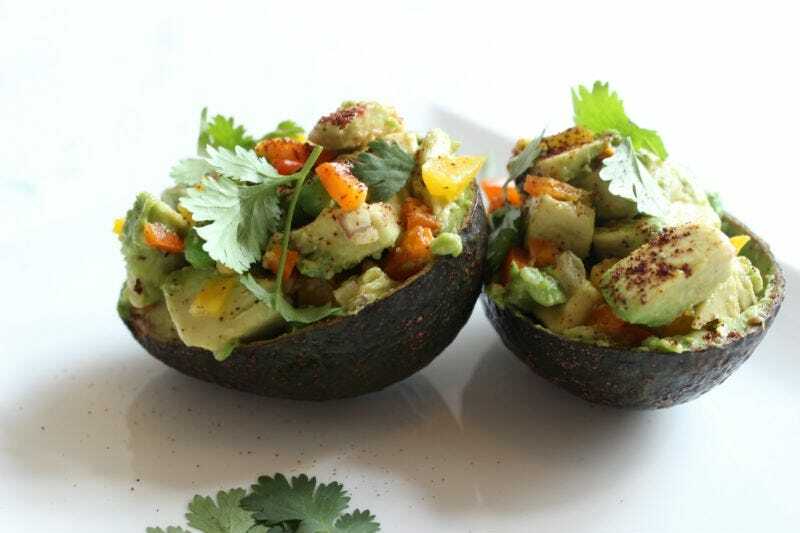 When ready to serve, use a knife to "cube" avocado into small pieces, then carefully scoop into bowl with other ingredients. Preserve avocado shells. Gently toss until ingredients are mixed but avocado is not "mashed". Using a spoon or fork, gently scoop mixture back into reserved avocado shells. Sprinkle with chipotle spice and fresh ground black pepper to taste. Garnish with fresh cilantro leaves. Serve immediately. 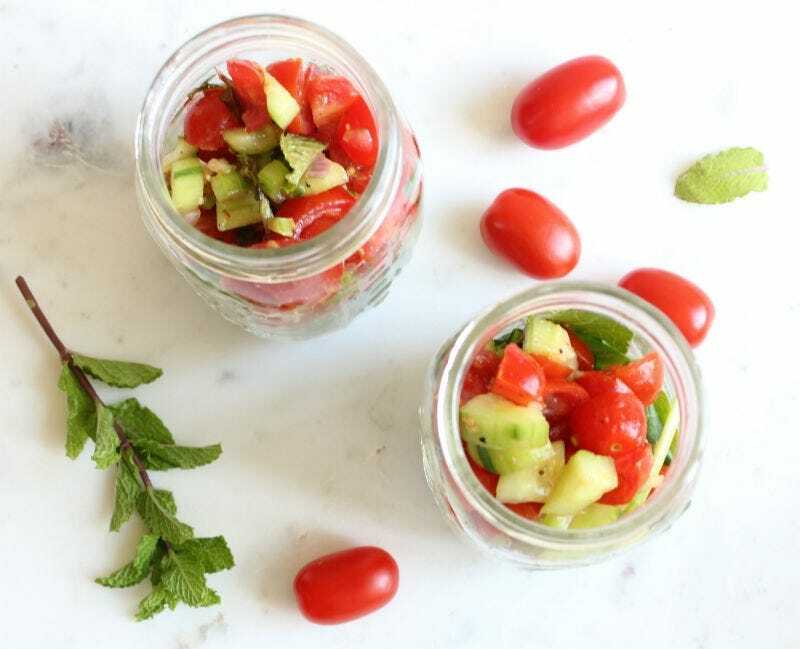 In a small bowl, combine cherry tomatoes, onion, celery, CW, sea salt, fresh mint and ½ tbsp flax oil, and set to the side. When ready to serve, toss mixed greens with ½ tbsp flax oil and a pinch of sea salt. Plate and then scoop tomato mint salsa onto bed of greens. Enjoy as you would a fresh green salad. Add avocado (optional). 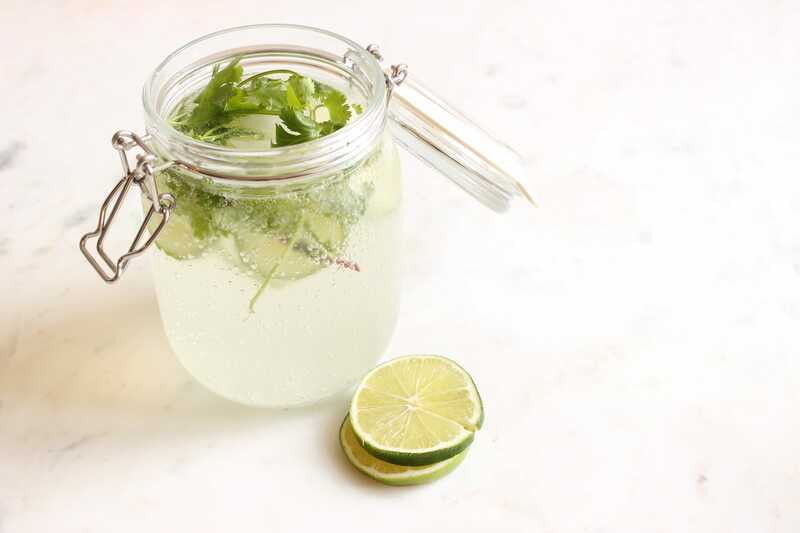 In a small pitcher or bowl with a spout, combine cilantro and fresh lime. Use clean fingers to roll mint leaves back and forth for 5 seconds. Do this gently to release their essential oils without bruising. Add mint to bowl. Allowing flavors to come together, set aside for 30 minutes or keep refrigerated until ready to enjoy. Before serving, add two cups of sparkling water and two droppers of Hemp Extract Oil Extra Strength. Pour over ice.